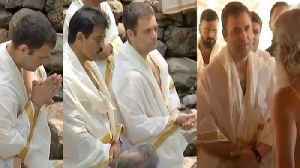 Congress Chief Rahul Gandhi is on campaign trail of Kerala, visited the ancient Thirunelli Temple and performed rituals at Papanasini River . 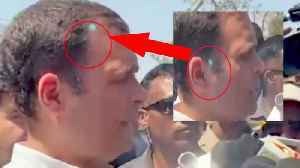 Actually, Rahul Gandhi have special connection with..
Rahul Gandhi's funny video from Kerala goes viral. Actually, Rahul Gandhi's Translator didn't understood his English several times and therefore, Rahul Gandhi trolled in social media . 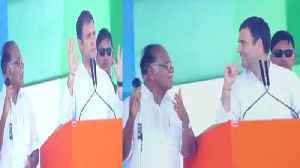 This Video goes..
Rahul Gandhi addressed the public meeting in Nanded, Maharashtra on Monday. 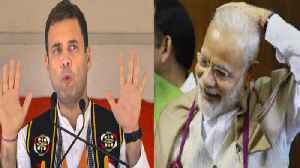 During this time, Rahul Gandhi attacks PM Modi. 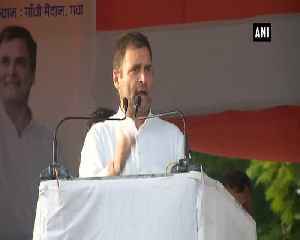 In his speech, Rahul Gandhi said that 'I made 4 questions with PM Modi, whose..
Priyanka Gandhi and Rahul Gandhi held a public meeting in Uttar Pradesh's Fatehpur Sikri today. Taking the stage before Rahul Gandhi, Priyanka Gandhi batted for the Congress party. 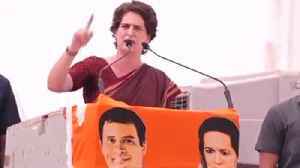 Priyanka Gandhi.. 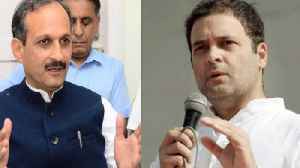 The president of BJP Himachal Pradesh unit Satpal Singh Satti has stoked controversy for using cuss words against Congress President Rahul Gandhi. Quoting a social media post, Satpal Singh Satti said.. 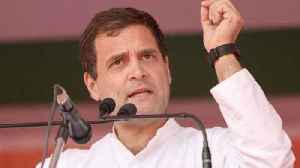 The Congress has alleged breach in party president Rahul Gandhi’s security in Uttar Pradesh during his visit to Amethi in Uttar Pradesh to file his nominations this week. In the letter, the Congress.. 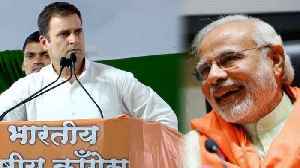 When Rahul Gandhi questioned about Modi, Rahul's answer was I Love Modi Ji .Prime Minister Narendra Modi's name was chanted at an event organised for Congress presidentRahul Gandhi in Maharashtra's..